As the medical industry continues to expand, Certified Nursing Assistants sercasee on the front lines by providing quality patient care. According to the U.S. Bureau of Labor Statistics (BLS), the demand for nurse aides, attendants and orderlies will grow at a faster rate than other occupations, with a 19% increase in demand by the year 2018. In Florida, there’s a huge demand need for capable nurse aides to care for the needs of the rising elderly population. The medical industry has an urgent need for CNAs to provide services at long-term care facilities across the state. The Florida State Board of Nursing, in accordance with Florida Statute 456, mandates that all healthcare practitioners, including CNAs, receive proper training and certification as a prerequisite to employment. The board closely monitors the education, training, certification and discipline of all nurse aides. 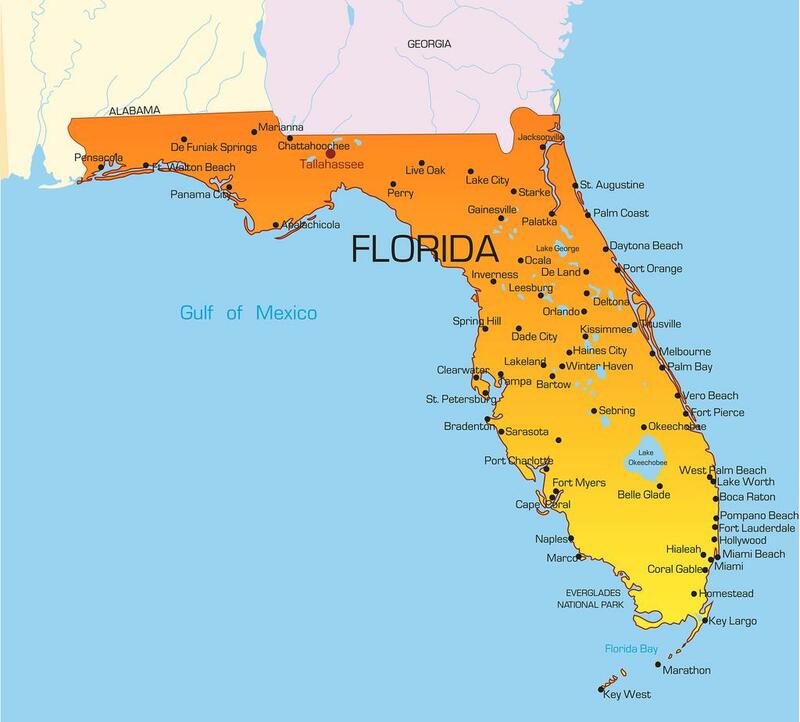 Other cities in Florida: Please scroll down below or use CTRL+F (Command+F on Mac) to search this page. There’s an abundance of opportunities for ambitious CNAs at long-term care facilities, clinics and hospitals across Florida. As a prospective nurse aide, you need to obtain certification before you can legally provide direct care to patients and residents. There are several routes to acquire certification. One of the most common routes is to enroll in a formal training program before challenging the nurse aide competency exam administered by Prometrics. Formal CNA training is not a requirement for challenging the state exam. However, if you fail the test on three (3) attempts, you will have to enroll in an approved program before trying again. Employers must verify a prospective employee’s status on the registry before hire. Formal training is not a requirement for challenging the state exam. However, if you decide to enroll in a program to prepare for the exam and your responsibilities as a CNA, you can enroll in one of the numerous programs across the state without too many restrictions. If you do not have a high school diploma or GED, you may have to take a pre-admission evaluation to demonstrate your reading and comprehension skills. Florida nurse aide training programs provide instruction through lectures and supervised clinical experiences at long term care facilities. Students receive instruction in essential areas like infection control basic patient care, communication, medical terminology, vital signs, safety measures, CPR, basic anatomy, patient transfers and charting. The training not only helps students prepare for the state exam but also equips them with the knowledge and skills to execute their duties on the job. Florida state regulations require training providers to facilitate a minimum of 120 hours of combined classroom, lab and clinical training to nurse aide students. A total of 80 hours covers classroom instruction and hands-on lab, and the final 40 hours provides for supervised clinical experience where students work directly with residents. Students can apply for training at one of the many technical institutes, high schools, nursing homes, community colleges and private institutions around Florida. The American Red Cross also offers low-cost training for qualifying candidates. Apart from pre-certification training, Florida also requires Certified Nurse Aides to complete 12 hours of in-service training every year. Training should cover areas such as domestic violence, blood borne pathogens, residents’ rights, infection, medical error prevention and safety. There are over 300 state-approved nurse aide training programs in Florida. The cost of training is as varied as the providers themselves. However, the average cost of training is an affordable $500, making it a feasible option if you want to prepare for the state evaluation. Financial and employer-funded programs help to ease the burden of tuition for some families. 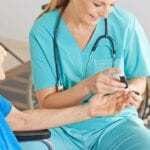 Additionally, if you’re employed at a nursing facility or begin working within 12 months of training, you might be eligible for reimbursement as directed by state regulations. Consult with your employer or your district Medicaid office for specific guidelines. The Florida Department of Health has assigned Prometric with responsibility of developing, administering and scoring the nurse aide evaluation in the state. Prometric administers the exam at several approved testing sites throughout Florida. You can review the current list of test sites and enter the code on your application for testing. Prometric administers the written component of the test through its user-friendly computerized system. The exam comprises of 60 multiple choice questions, which evaluates your knowledge and skills. You’ll have 90 minutes to complete all 60 questions. The clinical skills test consists of five skills, which the computer assigns randomly. The time for your test depends on the complexity of the skills assigned. Three skills are assigned, and the last two skills test your hand washing and indirect care techniques. You must complete all five skills to pass the clinical component, and both the clinical and written components to qualify for certification. If you fail the evaluation on three attempts, you’ll have to enroll in an approved training program before you reregister to take the exam. If you’re an out-of-state certified nursing assistant, you can apply for reciprocity to transfer your certification to Florida. Your out-of-state CNA certificate must be still active – not in an expired or lapsed status. If your certificate is active, you won’t need to take the state exam. Your registration should be in good standing at your home state registry. You’ll need to submit information for a background check (FBI) in Florida. Note: Apply early because checks can take several weeks to months. You’ll obtain your Florida certification after the Board verifies your out-of-state certification and receives a report of your background screening. CNA certification remains valid for 2 years. In order to renew your certification after the two-year cycle, you must provide proof of work for monetary compensation within the last 24 months and complete 24 hours of in-service training. If you fail to meet these requirements, you must reapply for licensure. Elite Health Care Institute, Inc.
5 Star Training Center, Inc.
Treasure Coast Medical Academy, Inc.
T&T Academy Of Health Services, Inc.